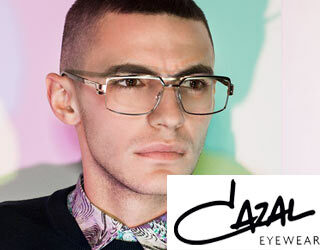 Cazal Eyewear is a luxury sunglass designer based in Germany. This collection is all handmade of high quality materials and expert craftsmanship. 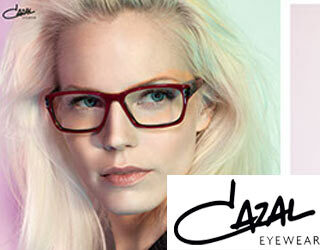 Caviar is made by the same manufacturer which is a beautiful and exquisite collection of ladies eyewear and sunglasses which all handmade and most set with genuine Austrian crystals. The Legends collection is a by the same manufacturer and consists of retro sunglasses, created by Italian designer Cari Zelloni. 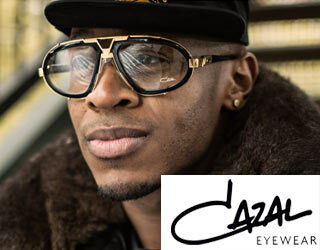 Cazal sunglasses have been especially popular among hip hop artists, including Run DMC and Rick Ross has a facial tattoo of the Cazal logo.